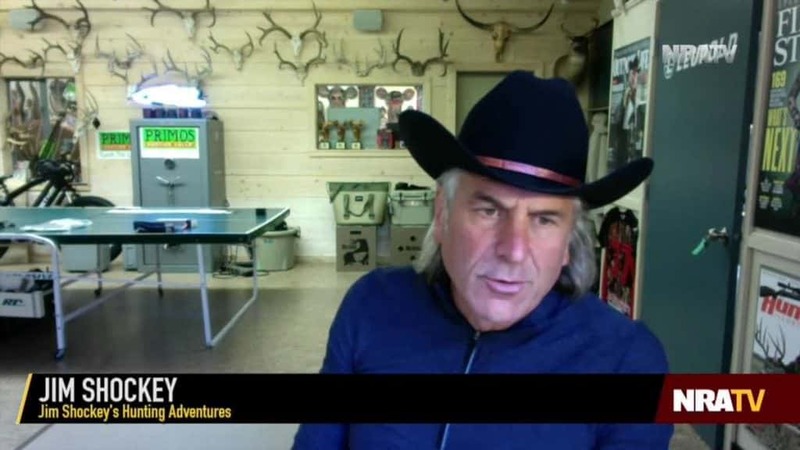 TheGunBlog.ca — Jim Shockey, the Canadian host of Jim Shockey’s Hunting Adventures, urged fellow hunters, outdoorsmen and other citizens to “mobilize” against Prime Minister Justin Trudeau and “fight” the gun bans he is preparing, he told NRA TV in an interview shared today on Twitter. Shockey was speaking with NRA TV host Cam Edwards about Trudeau’s possible bans beyond the ones in Bill C-71, and about a poll in British Columbia that found support for prohibiting firearms from private individuals with a federal gun licence. All guns are banned already for anyone without a licence. Background: Trudeau is examining a full ban on handguns and what he called “assault weapons,” which some groups view as any semi-automatic rifle or shotgun. Notes to the video say it first aired Sept. 19. The following excerpt was transcribed by TheGunBlog.ca. The response below starts at 3:40 in the video interview that lasted more than 7 minutes. We just can’t let this happen, and it comes down to, really, our prime minister. We had Stephen Harper in there, a wonderful man who worked hard for the country. And they didn’t try this nonsense with him. Justin Trudeau is a different ball of goo. So I don’t know. We have to just make sure he doesn’t get elected next time, and that’s what it comes down to. Let’s mobilize, let’s let everybody know that this kind of thing only happens when you’ve got someone who will countenance this ridiculous type of approach to controlling crime. And that’s Justin Trudeau. So we vote him out next time. It’s pretty simple. We have the tools to do it. Thank you @JimShockey for speaking up and helping hunters understand why they should oppose a ban on handguns. Thank you @CamAndCompany for interviewing one of the best-known hunters in Canadian history! Host: As you’re talking to folks in the community over the last month or so, is this something that gun owners and that the outdoors community in Canada is aware of, that there is this big push going on [for new restrictions and prohibitions]? Shockey: The problem is that most of us who are outdoors people who are gun owners, we’re in the outdoors. That’s where we are. I’m not sitting watching the news on television. God forbid I’d waste my time doing that. So the problem is partially that they don’t know. And I’ll guarantee you none of them were polled on this poll, this 800 people that they chose from across British Columbia. As usual, it’s an insidious little weasely way to get in through the back door when nobody really knows what’s going on. We have to let the rest of our like-minded people know that this is going on. If we don’t do something about it soon, like I say: You own a handgun? That’ll be taken away. You own a rifle? That’ll be next. You own a shotgun? That’ll be next. And eventually maybe even bow and arrows, who knows. We need to mobilize. We need to let people know, just like we’re doing right now talking about this. It’s a big problem coming ahead at us at 100 miles an hour. Contact your elected officials at all levels. This article mentions why it’s not only a federal issue. Volunteer for political candidates who support hunters and sport shooters AND who might actually win. (Sad, but that leaves one party federally.) Help them win. Join at least one gun-rights association and hunting association.